Once your fingers get cold, that's it! Goodbye dexterity and comfort, hello freezing. Fortunately, for days where you're lucky if the temperatures get above single digits, 686 created the GORE-TEX® Linear Glove, with the highest warmth and dryness ratings available. The outer shell is made from infiDRY® 10K waterproof/breathable fabric while the insert is made of GORE-TEX® waterproof fabric. Inside that, you'll find a light fill and soft lining. The 686 GORE-TEX® Linear Glove is touch-screen compatible with an extra grippy palm, ideal for tailgrabs or texting from the lift. 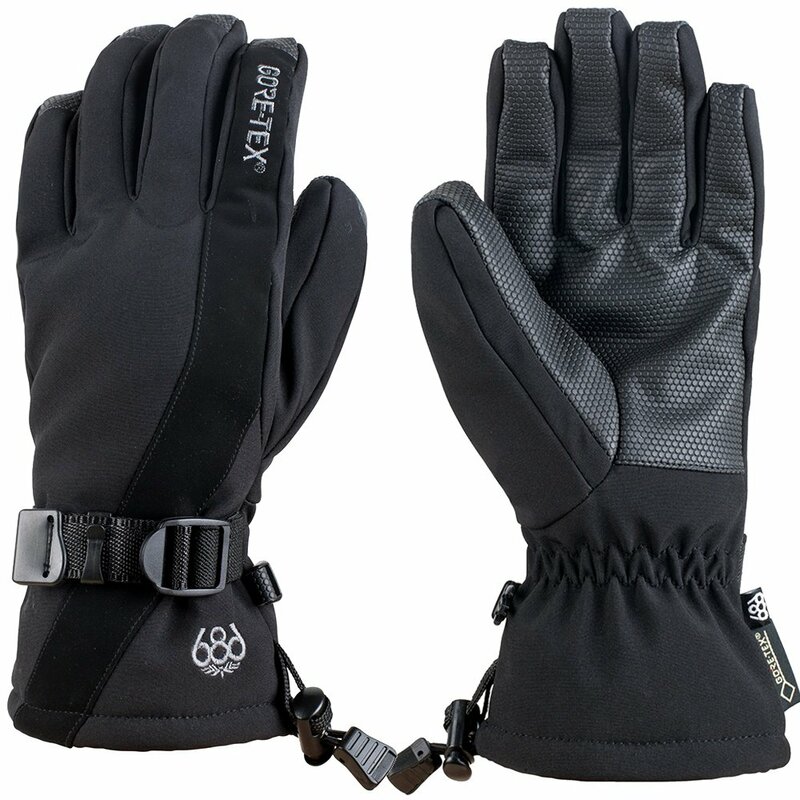 These gloves are 100% waterproof with an inner GORE-TEX® liner. An articulated design encourages a natural bent, comfortable hand shape. Useful features include a soft-touch face wipe, wrist adjustment straps, a wrist leash, and elastic cuff closures.